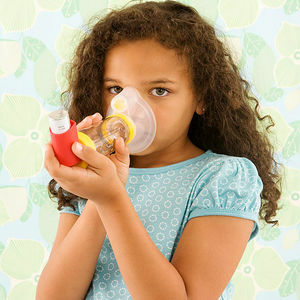 If your child suffers from asthma, learn the asthma signs, symptoms, and treatments for the best action plan. The disease takes many forms, from a nagging cough to a serious attack. 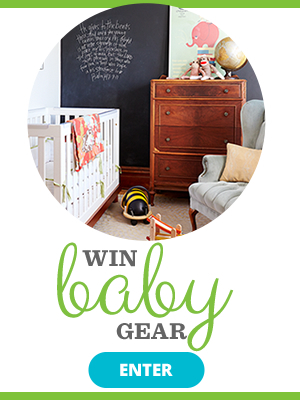 Our update will help your child breathe easier. 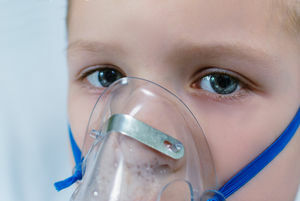 Wheezing and congestion are just two breathing difficulties your child may experience. Learn about the signs and treatment. 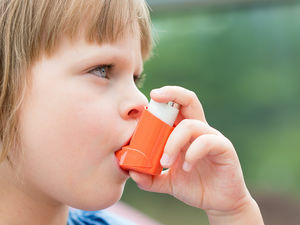 Having a kid with asthma can be scary -- but this advice on managing it, from a pediatrician and mom who's been there, will help you and your child breathe easier. 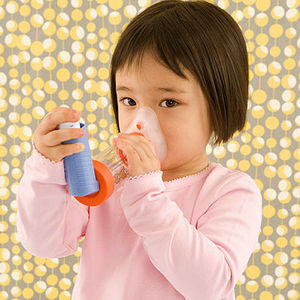 To keep your child's asthma under control, she'll need to incorporate these medications and routines. 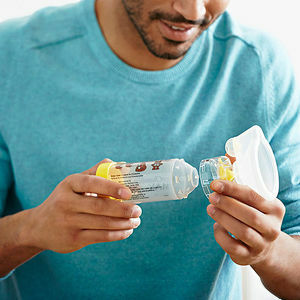 Understand how asthma drugs--both quick-acting and long-term--work to help your child breathe easier. 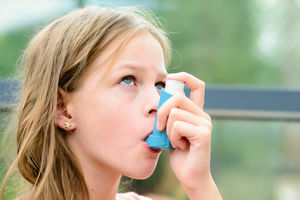 With the right care, a child with asthma can be active, play sports, and lead a perfectly normal life, says Parents advisor Hugh Sampson, MD, president of the American Academy of Allergy, Asthma & Immunology (AAAAI). 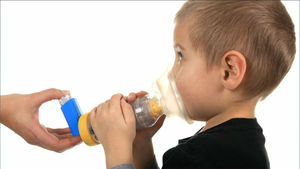 We teamed up with experts from the AAAAI to bring you the latest news about how to help your child breathe easier. 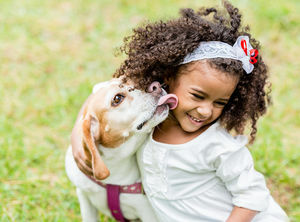 New research confirms that having a family dog could have several health benefits, including decreasing your child's risk of developing asthma. Almost 5 million children have it, but new treatments can help them lead normal lives. 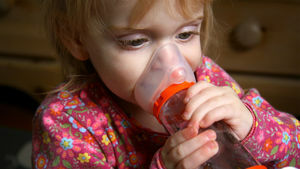 Parents have a lot of misconceptions about asthma. We clear them up. 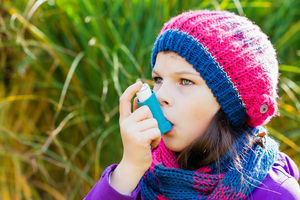 A new study suggests that kids with asthma or allergies like hay fever may face as much as double the risk of high blood pressure and high cholesterol. New research shows kids experience health benefits from witnessing affection between their parents. 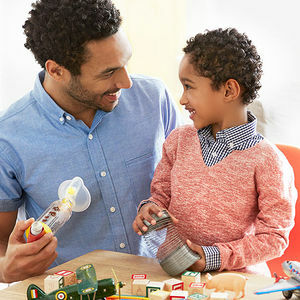 This smart advice from a doctor dad can prevent the disease from slowing your child down. 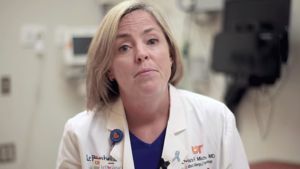 New research, which was conducted by Mayo Clinic Children's Research Center, found that children who suffer from asthma are twice as likely to be hospitialized when they are exposed to secondhand smoke. A new study finds even lower air pollution emissions still have significant effects on kids' lungs. 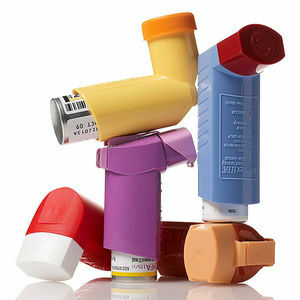 Follow these step-by-step instructions to administer different types of asthma medicine. 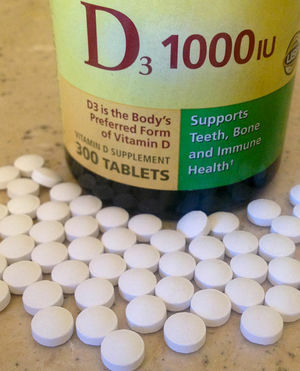 New studies show vitamin D does not lower the odds for asthma in babies, contrary to previous belief.